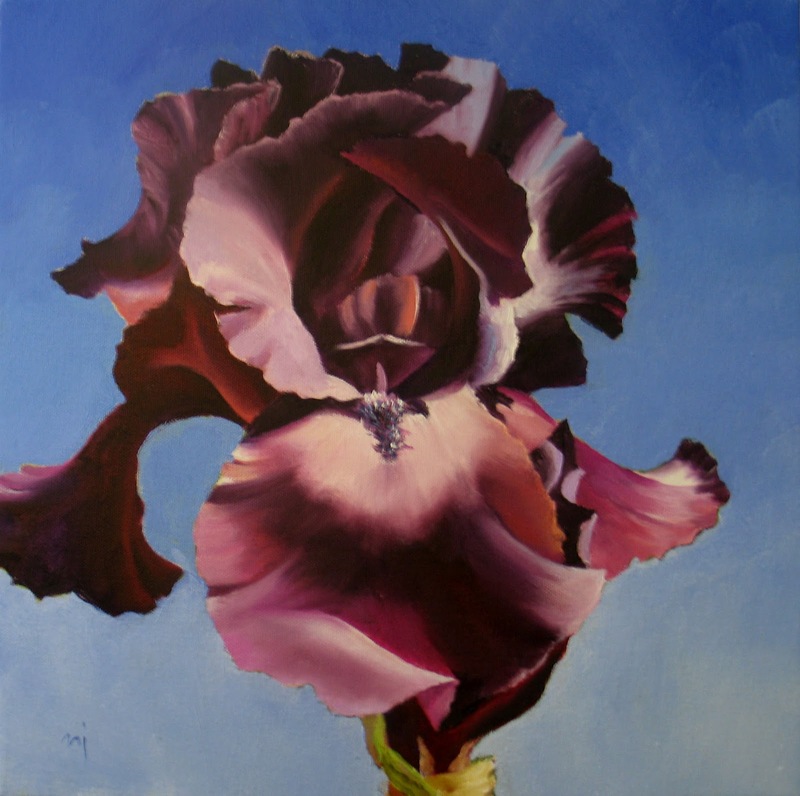 Oil on Stretched Canvas, 16" x 16"
This gorgeous iris has been hanging on my wall, while I wondered why it hadn't sold. So this morning I took out the blue paint, and turned the green background into sky. Much cleaner, more dramatic.